It may take a village to raise a child, but to destroy a village, it takes rockets. 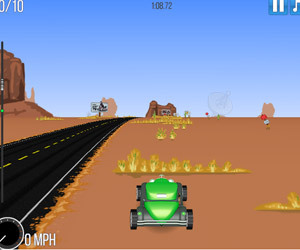 Use the arrow keys to steer your rocket. Destroy the village people as quickly as possible, and with as few rockets as possible.